Aixa Oliveras' gorgeous, mysterious paintings are inspired by magical realism and the symbolist movement of the late 19th-century. 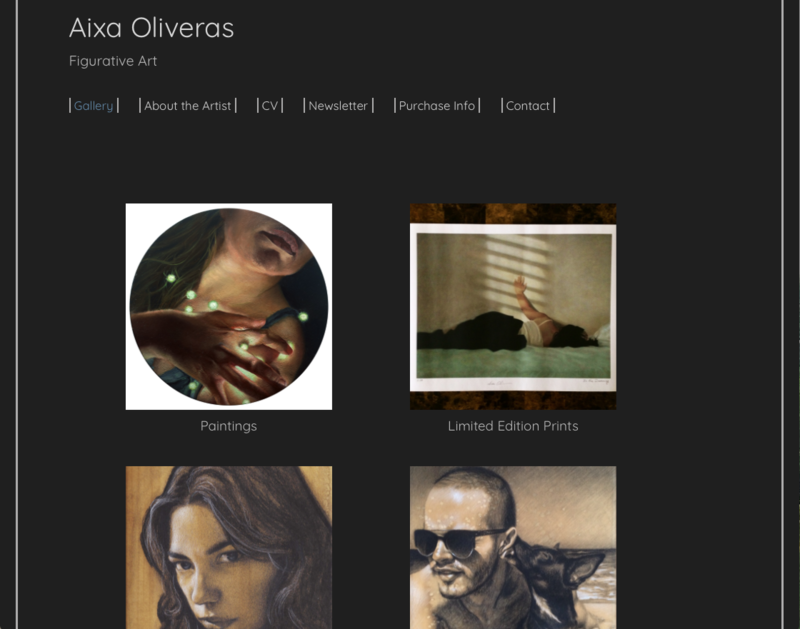 With masterful technique, Oliveras uses her lifelong love of art to explore what it means to be human. "My earlier work focused on exploring psychological narratives through the use of interiors – the rooms and corridors of a home as a metaphor for a psychological state. Currently it has shifted towards work that is focused more on the psychology of the human form – how a gesture or a look can convey an abundance of meaning, all within the context of Symbolic themes such as the mystery of the subconscious self and psychological archetypes. I draw from my own personal experiences and transmute them into a symbolic narrative. Light also plays an important role in my work. It becomes a character in its own right – uncovering hidden layers and bringing emotional notes to light." 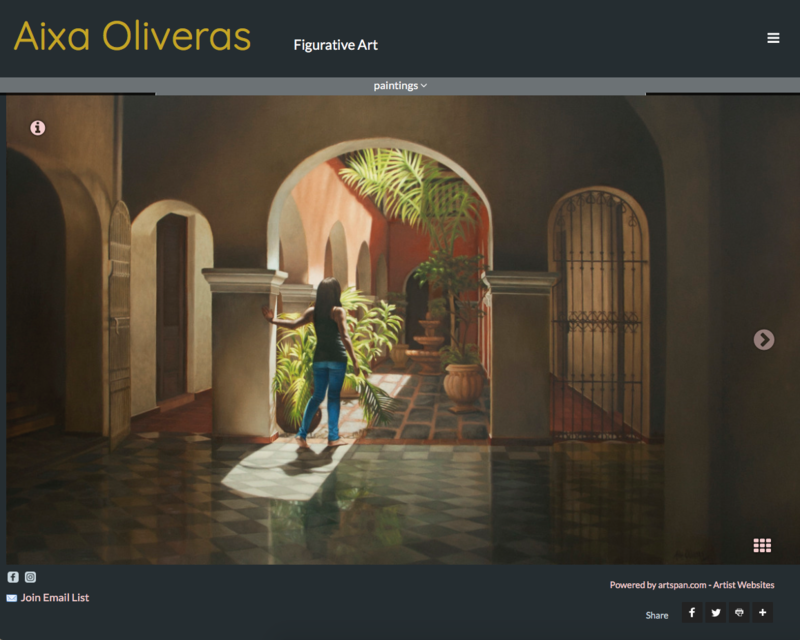 Oliveras' site looked good, but we thought one of our newer templates would show off her work to better effect. We kept a dark background, but gave it a cooler tint to provide a dynamic background for her warm, lively images. We picked up on one such warm note to choose the gold color for the title of the site. Other than that, we tried to keep the site as simple as possible, so that the art could speak for itself. We also used the "Insert Template" tool to create some space around her portrait on the About page.